As the new season approaches, relive some of the funniest moments from Pokémon the Series: Sun & Moon—Ultra Adventures. 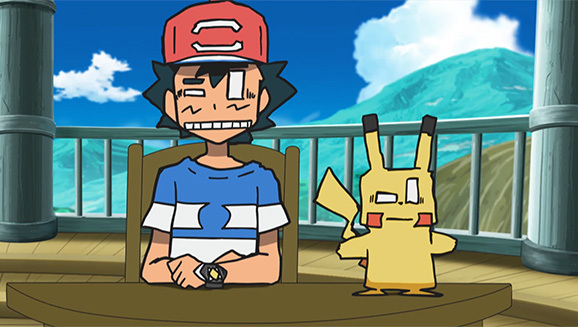 When Ash and Pikachu traveled to the Alola region at the start of Pokémon the Series: Sun & Moon, the 20th season of the animated series, fans noticed that the show featured a new animation style with updated character designs. 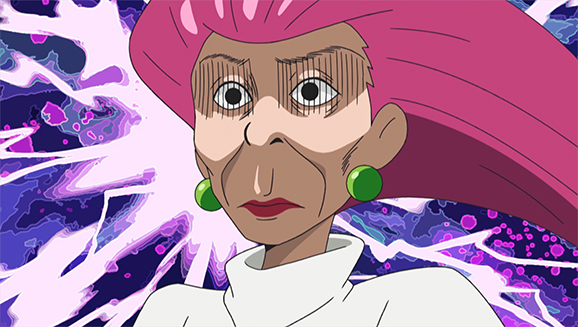 As the show continued through its most recent season, Pokémon the Series: Sun & Moon—Ultra Adventures, it become clear that the new look allowed the creators to get a bit more creative with the characters' expressions and reactions, often resulting in some very funny scenes. 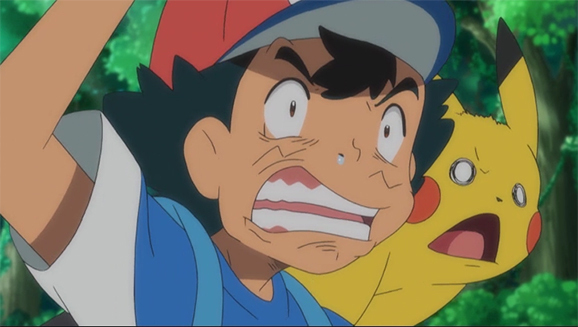 Ash and Pikachu react to an encounter with Bewear in the first episode of Pokémon the Series: Sun & Moon, a hilarious sign of events to come. 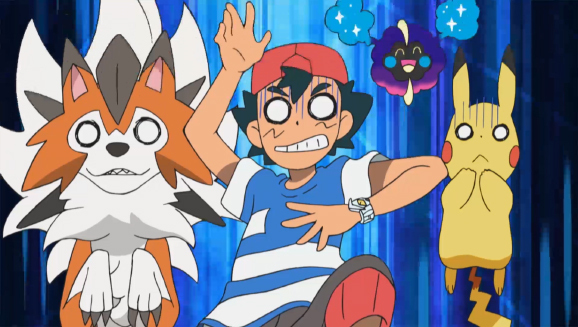 Now that the next season, Pokémon the Series: Sun & Moon—Ultra Legends, is about to begin, we wanted to look back at the last season to find some of the wildest takes from Ash and his friends (and enemies). 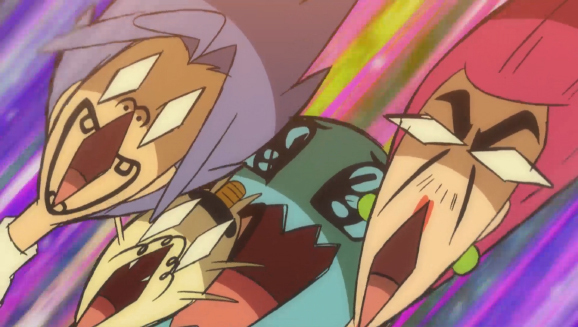 In animation, a “wild take” is an exaggerated overreaction, usually used to punctuate a joke. In recent seasons, Pokémon the Series doesn't shy away from this zany technique, leading to plenty of humorous moments in each episode. The following are some of our favorite wild takes from Pokémon the Series: Sun & Moon—Ultra Adventures. Maybe you'll also get a good laugh out of these ridiculous gags. When Nebby transports Ash, Pikachu, and Lycanroc into the middle of a group of cranky Pinsir, our heroes definitely don't maintain their cool. Episode 12—The Professors' New Adventure! After Professor Kukui proposes to Professor Burnet, his students start planning the wedding as a surprise. None of them are terribly good at concealing their intentions. Episode 13—Let Sleeping Pokémon Lie! Jigglypuff's singing—no surprise—lulls Team Rocket to sleep. 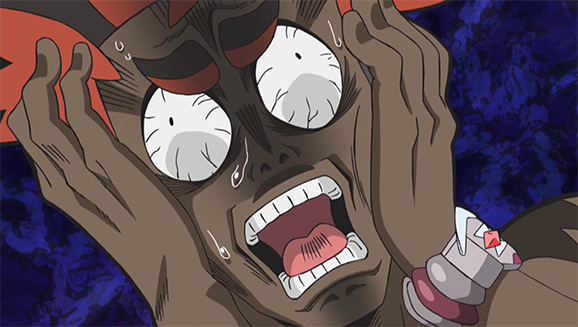 Bewear's angry reaction to Jigglypuff's subsequent doodling sends the troublemakers into a panic. Episode 14—The Dex Can't Help It! Episode 18—A Mission of Ultra Urgency! While engaging in a flex-off with the Ultra Beast Buzzwole, Ash gets distracted. When his friends prompt him to regain his focus, he has a sudden burst of maturity—with slightly unnerving results. Episode 19—Acting True to Form! 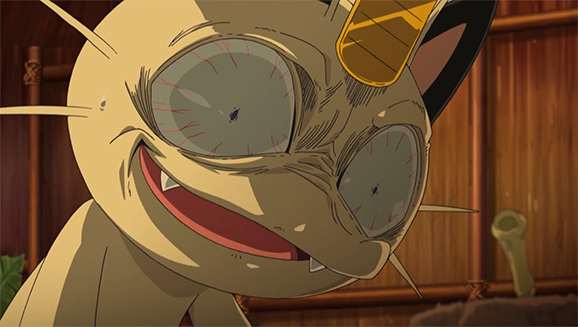 This episode, in which Meowth fears that his Alolan counterpart will steal his position in Team Rocket, is filled with amusing expressions, but this stressed-out, evil grin may be the best. Episode 23—Love at First Twirl! Team Rocket loves to burst onto the scene with their traditional, overly elaborate introduction. Jessie, however, is clearly dismayed that they've done their routine while no humans were watching. Episode 28—Sours for the Sweet! Mallow's brother bakes delicious bread, and Team Rocket's food truck is losing business because of it. Jessie concocts a plan to win back customers, and—well, we can't even explain her reaction here. Episode 41—The Long Vault Home! During a vaulting competition in gym class, Kiawe tries to leap over a disguised Stakataka. The Ultra Beast drops Kiawe into its eyeball-filled interior, which (understandably) horrifies the poor guy. Episode 45—The Prism Between Light and Darkness! Team Rocket sets their sights on a newly opened Ultra Wormhole, but they're hesitant to enter it. Fortunately, Jessie has a diabolical plan (and a diabolical expression to go with it). These are, of course, a mere fraction of the many, many wild takes that appeared in Pokémon the Series: Sun & Moon—Ultra Adventures. 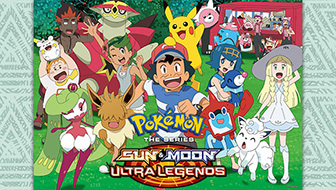 Don't miss the premiere of the next season, Pokémon the Series: Sun & Moon—Ultra Legends, which is bound to have plenty more laughs and outrageous facial contortions!